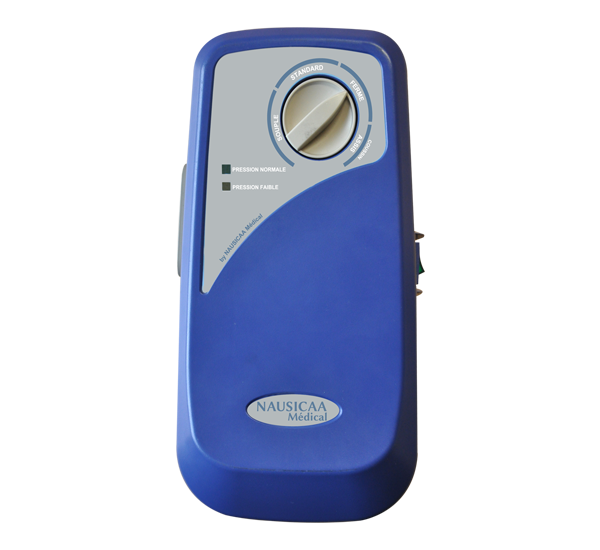 It operates in alternating mode up to 130 kg, is intended for the prevention of very high-risk levels and is used as a care support for stage 3 pressure ulcers. 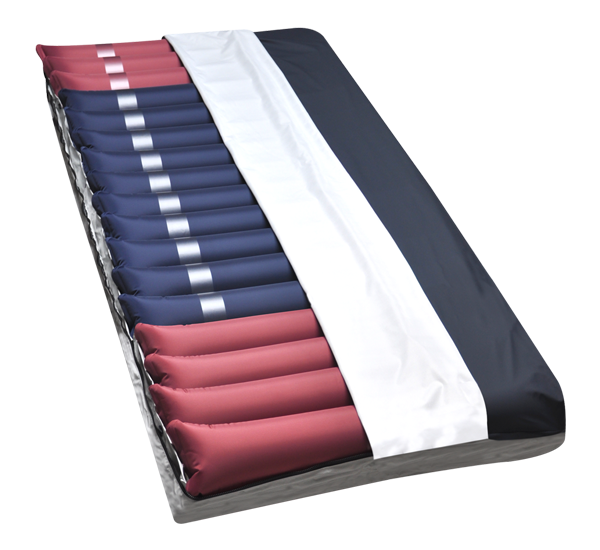 It has a standard pressure setting and its high flow pump allows to manage a wide range of mattresses (height up to 20 cm and width up to 140 cm). Its compartmented configuration and its adjusted size (17 x 85 x 200 cm – 13 cm air height 4 cm foam under-mattress) fits any type of 90 cm width bed (box spring from 85 to 90 cm). It is equipped with an alternating heel section (4 cells) and a static head section (3 cells) to increase patient comfort.